Product #18642 | SKU RODGRIP5 | 0.0 (no ratings yet) Thanks for your rating! 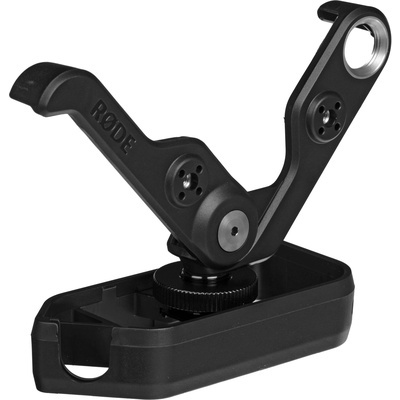 The RodeGrip Multipurpose Mount for iPhone 5/5s from Rode is a multipurpose mounting device that is designed for use in both audio and video recording applications. It allows you to set up your iPhone 5 or 5s in a variety of orientations, including handheld pistol for audio or video, boom or camera mounted thanks to its 3/8" shoe mount, or desktop mounted. The RodeGrip is constructed of ABS plastic, and folds down for compact storage when not in use.